THESE CLASSES HAVE BEEN CANCELLED. I’m pleased to announce that this year at IKS we will have a truly fabulous spinning teacher (and a friend of mine) joining us. Lauren has been spinning for twenty years and teaching for ten. She has learned at the knees of Judith McKenzie, Rudy Amman, Michelle Boyd, Stephenie Gaustad and many other venerated teachers. 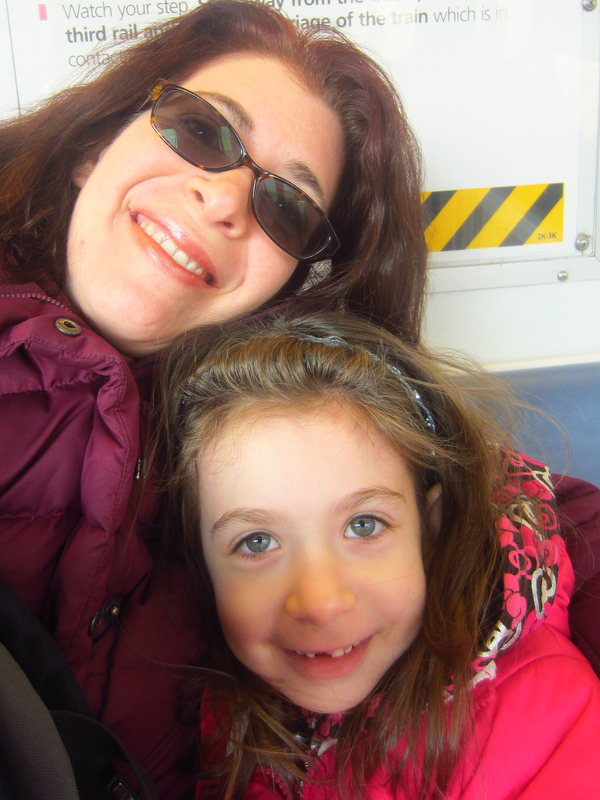 Lauren lives in Bellmore, New York with her husband and daughter, and she prefers to teach people that there are no spinning police. I’m owned by fourteen wheels, and upwards of fifty spindles. I love them all, but usually choose to spin on my cherry Matchless, or my Hansen Minispinner. 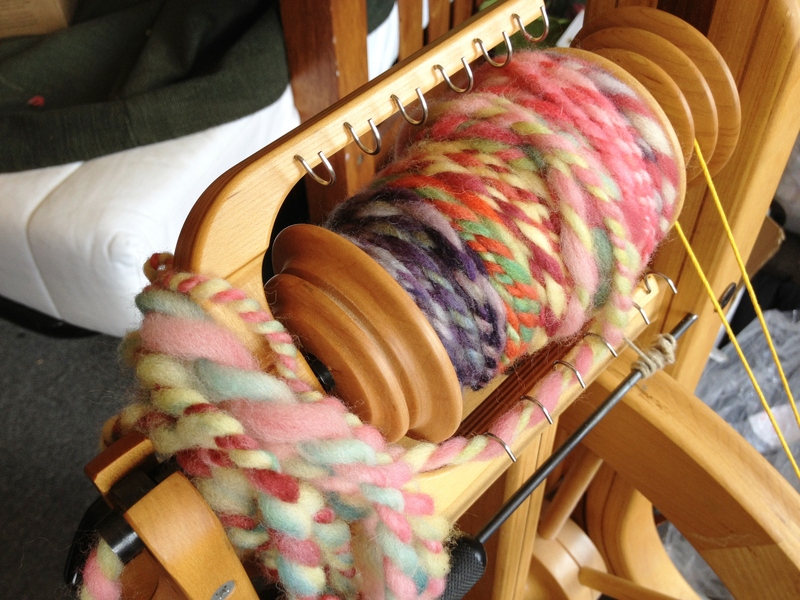 My most unusual wheel is my Journey Wheel, and my first wheel was a single treadle Joy. My most unusual spindle is a mid whorl Mongold Norge. 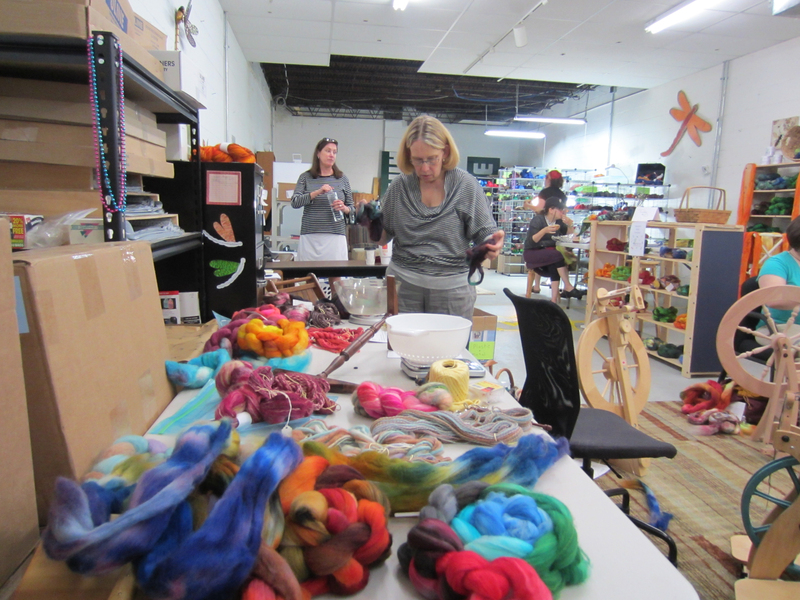 Kate from Dragonfly would tell you it’s that I finger spin fiber, any fiber, when I pick it up. It’s a habit, and I’m not thinking about it when I do it. I have little finger spun yarn bracelets from most of the events I’ve been to. I like to wash wool, raw wool, one lock at a time, on a bar of soap, and I love to spin that washed wool from the lock. 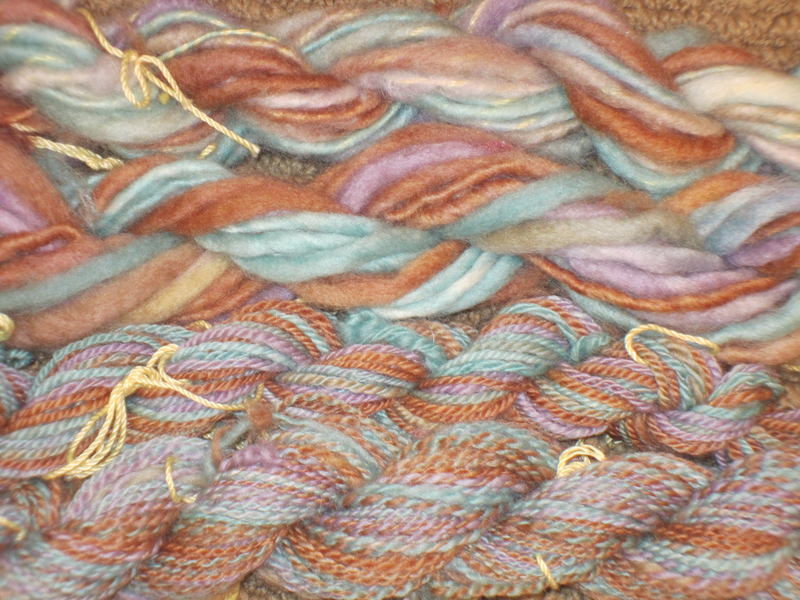 I have a lot of handspun, and it’s all hanging up in my closets. Really, you’re going to make me pick? I’ve taken the most classes with Judith McKenzie. The teacher that taught me the most was Margaret Stove. The teacher who taught me the technique that I had the most fun with was Sarah Anderson (Wrap and Roll yarn). The teacher whose class I met the most long term friends in was Rudy Amann. The teacher who probably finds me most annoying, because I’m a ringer every time, is Maggie Casey. If you need a one liner for that, go with Judith. I admire her because she’s used spinning to bring her through every life situation. Now the classes! Each class lasts 3 hours and costs $45. If you sign up for both, you get in for $40/class. Each also has a material fee to be paid to the instructor on the day of the class. To register or if you have any questions, send an email to cosymakes@gmail.com. You want to create a yarn that’s shiny and smooth. How do you do it? Spin it worsted. You want to learn more? That’s what this class is for. We will explore Worsted yarn and its properties, spinning both Top and Batts to create Worsted and Semi-worsted. 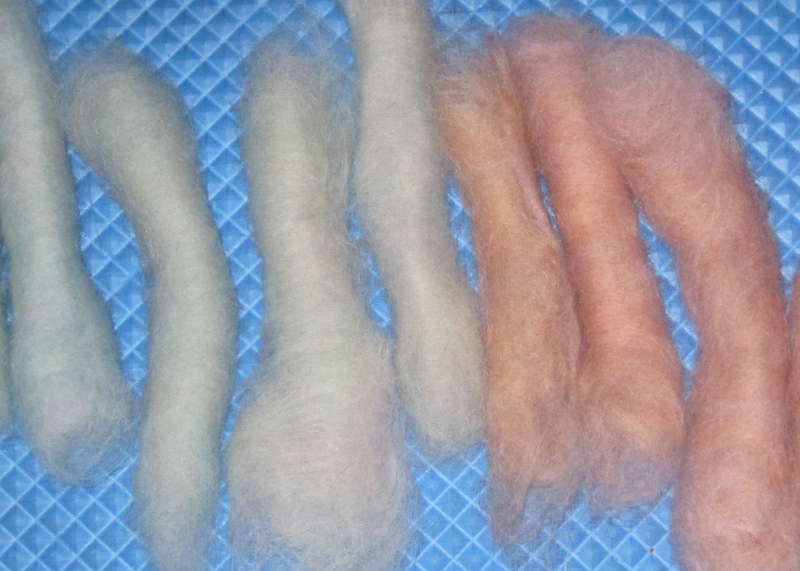 Then we will explore Woolen yarn and its properties, spinning Batts and Top to create Woolen and Semi-woolen. While we’re spinning we will discuss some of the best uses for each type of yarn, and work on improving your spinning in each style. Skills Required: Students should be able to spin a continuous yarn. 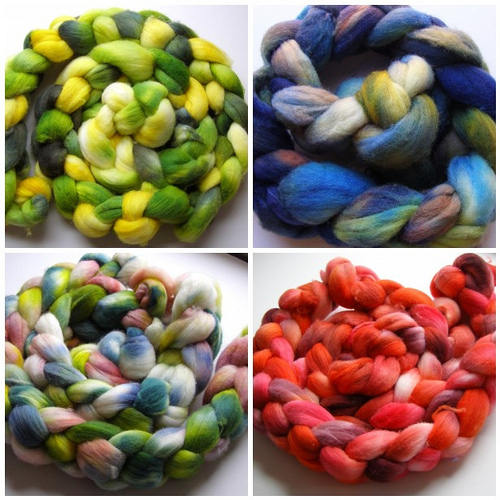 Do you have a gorgeous, many colored braid of fiber, and you don’t know what to do with it? In this class we’ll try several techniques to split and spin that fiber. 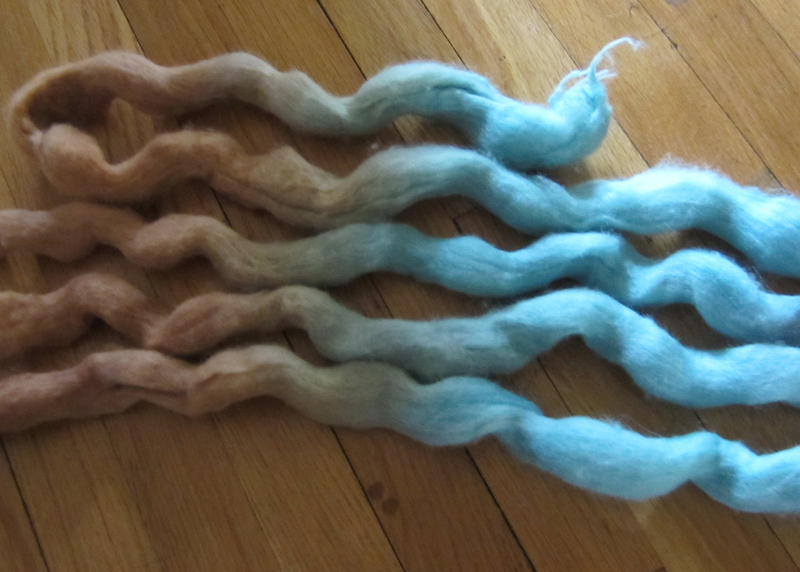 We’ll create intentional barberpole yarn, color blocked yarn, and fractal spun yarn. If time allows, we will play with ply structure and its effect on colored yarns, spinning three ply and cable ply yarns. Each yarn will be unique, and they will all be beautiful. Which one will be your favorite?